The HSE said it was recalling the drugs as a “precautionary” measure. 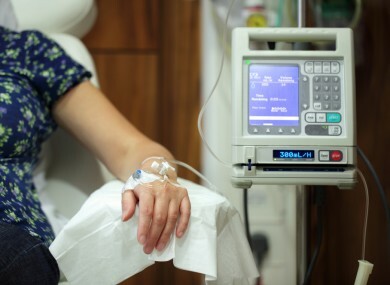 AROUND 200 PATIENTS have been contacted after the HSE recalled a number of batches of chemotherapy drugs earlier this week. The recall was ordered after the company that manufactures the drugs, Fannin Compounding in Dublin, detected a “potential sterility issue” during routine quality assurance tests. The HSE said there is no indication from the company that any drug has been affected. However, it was decided as a “precautionary” measure that any patient who received the potentially contaminated drugs “should be contacted by their treating hospitals, made aware of the situation and offered appointments to meet with their clinical teams to discuss any possible concerns”. The HSE apologised for any distress caused by the recall and advised patients experiencing “any unexpected symptoms differing from what they normally experience after treatment” to contact their hospital. The husband of a woman treated with one of the potentially contaminated drugs at Our Lady of Lourdes Hospital in Drogheda told RTÉ’s Liveline earlier today of his shock at the news. Michael said he wanted to know why the company had provided potentially implicated treatments to hospital before checks were carried out. “Why were those swabs not tested before the batches were sent out to hospitals?” he asked. The Health Products Regulatory Authority (HPRA), the body charged with overseeing drug recalls, said it was continuing to investigate the incident and evaluate the manufacturer’s facilities. The HPRA said a test product used by the company had detected the potential presence of contamination on 12 October. As a potentially implicated product must be incubated for 14 days, all units manufactured from 29 September have now been recalled, a spokesperson said. The HPRA said the incubation period for the test product ended today and that no contamination had been detected. The Irish Cancer Society said anyone experiencing anxiety as a result of the recall can contact its free cancer nurseline on 1800 200 700 for information and support. Email “Around 200 patients contacted as HSE recalls chemo drugs”. Feedback on “Around 200 patients contacted as HSE recalls chemo drugs”.